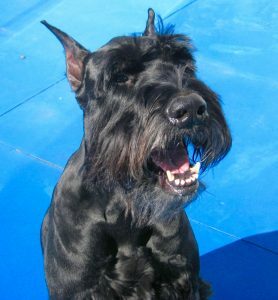 Bullet, the fictional character in the Darcy McClain and Bullet Thriller Series, is a combination of the personalities of the three giant schnauzers I’ve owned—Shotz, Kai, and now Bullet. Shotz was my fearless wild child, always into mischief and always on the lookout for adventure. She lived by her own set of rules, and little I said or did persuaded her to do otherwise. 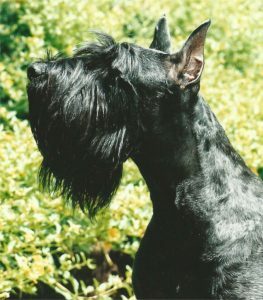 I bonded deeply with my “free spirit,” loved her tenacity, and rued the day when she left to run spiritually free after being my constant shadow for fifteen years. It has taken seven long years to look at photos of her and to write about her. Three months after her passing, Kai entered our lives. He did indeed show up at the right moment in time, helping us to deal with losing Shotz. Kai I always described as being my Einstein, my thinker, Mr. Independent, and the perfect puppy. In his short seven-year lifespan, I often wondered if he would show another side. It never happened. He was just that good. The abject pain of his loss will be with me for a very long time. I never imagined he would be gone so soon. Two months after he passed away, Tonka came into rescue and we decided to give him a forever home. I renamed him Bullet, and we are still learning about him as his personality slowly reveals itself. Bullet, Mr. Mellow as we call him, had no idea what to do when I tossed him a ball and wasn’t quite sure how to react when I wrestled with him. Evidently, no one spent much time playing with him, but he catches on quickly. He’s fun-loving, infinitely patient, and sweet-natured, and is adjusting well to having two people dote on him most of the day. 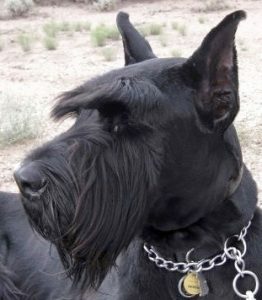 He has a nose for rooting out rodents and would dig a canal across the globe if allowed. He’s also a couch potato who retires early and rises late, which takes getting used to after Shotz and Kai, who were always up before dawn. And unlike both giants that preceded him, he has not warmed up to the idea of swimming—yet.